It happens that your destiny escapes from you and that misfortune falls on you. It happens that all the souvenirs that you had from your earliest childhood fly up in smoke and you find yourself traumatized for life. That's what happened to thousands of Syrian families and thousands of children who fled the conflict that devastated their country. Many of them ended in a situation of survival, after losing everything, in the huge refugee camps on the Turkish-Syrian border. 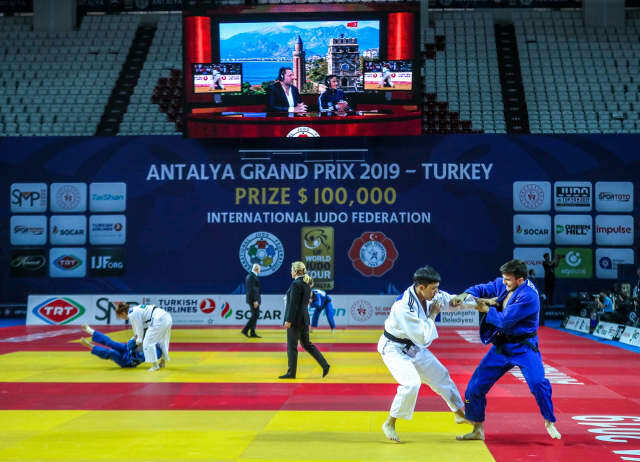 Since 2014, in partnership with the Turkish Judo Federation, the IJF has been developing an intensive judo for peace programme in the 'Container City' near the small town of Kilis. 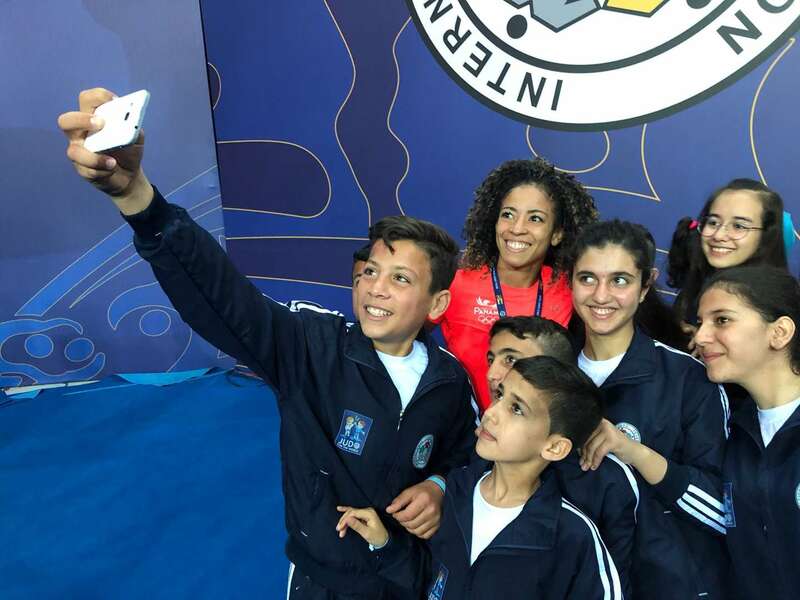 In 2016, the IJF won the 'Mohammed Bin Rashid Al Maktoum Creative Sports Award' for the work done in Kilis, and in 2017 the programme was integrated into the Judo for The World series (https://youtu.be/utJCdr5UKIA). Container city, located right on the border, welcomes on a daily basis whole families who often have for only good the traumatic memories of the fights which they fled. Above all, to give them a smile, to offer them self-confidence that often fainted in pain and to teach them that there are values ​​that count to build a brighter future, judo has been taught for more than five years to hundreds of children. With the support of the local authorities and those of the refugee camp and thanks to the substantial efforts of the IJF and the Turkish federation, a dojo has been made available to young people, as well as tatami and judogi. The coaches of the city, led by Öner Buldum, are fully involved in their task to recreate the necessary conditions for the practice of judo in order to bring some comfort to these traumatized youngsters. 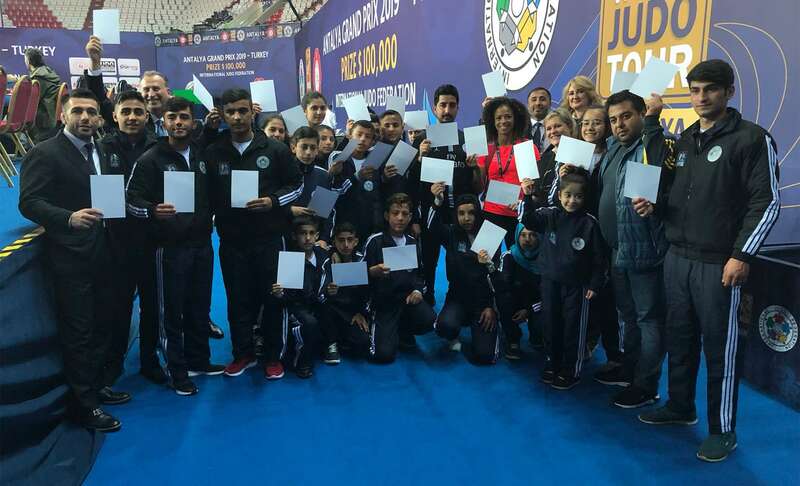 While April 6 (#April6 #whitecard) is the annual International Day Day of Sport, Development and Peace, established by the United Nations, the World Judo family is also gathered in Antalya for the World Judo Grand Prix. In this framework, twenty young refugees were invited to attend the event. Arrived on the first day, they were able to attend their first competition at this level and returned to their hotel in the evening, with their heads filled with beautiful ippon. But it may be the second day of the tournament that has lit up thousands of stars in their darkened sky. Guided through the backstage of the Grand Prix, by Nicolas Messner, Judo for Peace Director, and Mehmet Yilmaz, Competition Manager of the Turkish Judo Federation, they were able to discover with wonder how a competition of this size was working. From the interview area, through the official tables to the warm-up area, where normally only the athletes and their coaches have access, after more than an hour of strolling, the Grand Prix had no more secrets for them. On the way, they met Miryam Roper (PAN) who, with here big smile, joined the group and explained the life of a top athlete, with the words of a great champion. Once the shyness of the young refugees flew away, long minutes were devoted to a selfie session with their new idol. The young people were also able to meet the President of the Turkish Federation, Sezer Huysuz, the Competition Manager Lisa Allan and Elisabetta Fratini of the IT department, who offered a particularly warm welcome to all of them. Finally, they were able to shake the hand of Pino Maddaloni (ITA), 2000 Olympic Champion, who will go in a few days to do judo with all the children in Kilis. The height of happiness for one of them was when he was invited to sit at the table with Dennis van der Geest and went live on the big screen and on the internet around the world. Beyond the anecdote, which was not one for the children, the discovery of the Antalya Grand Prix is a real adventure. They did not had many opportunities to enjoy life in recent years. A few minutes later, they left to explore the old city of Antalya with a huge smile on their face, before attending the opening ceremony of the competition during which they were able to meet with the President of the International Federation, Marius Vizer.